Where did the time go? This time last year I was pretty new to blogging and joining Flash Your Stash really expanded my blog connections -- also my knitting horizons! I had no idea the amazing stashes out there...such as TurtleGirls. Seriously, go check it out. Totally incredible. 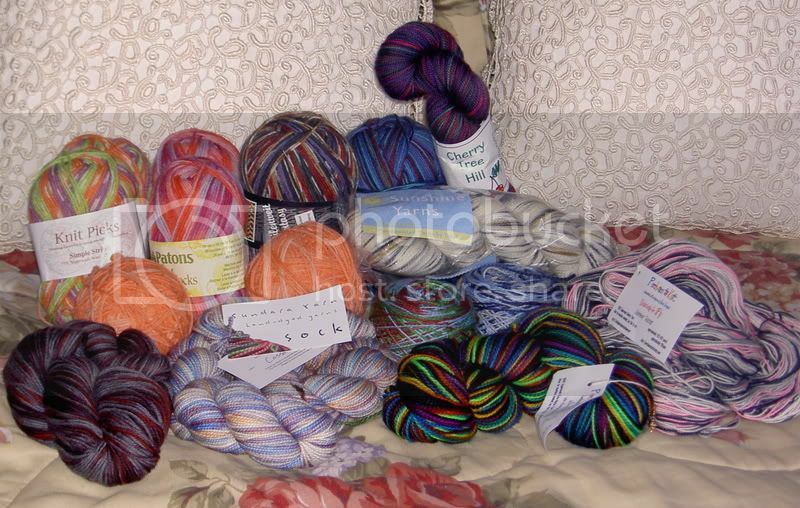 I decided to just Flash the Stash that I have aquired (and not knit) since last year. Starting with my Sock Yarn. 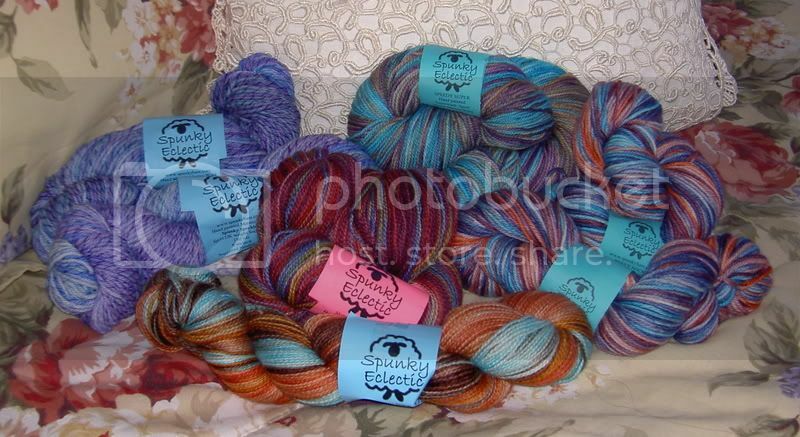 Here is my sock yarn from Spunky Eclectic's Sock Yarn Club. Here is the rest of my sock yarn. Various gifted skeins from generous Secret Pals and contest prizes (thank you). Some of my own hand dyed. 1 skein of Stitch N Snitch. 2 skeins of Sundara. 1 skein of Sunshine Yarn and 2 of Perchance to Knit. Fabulous stuff. And here is all the rest. Mulder couldn't resist the photo op! A little closer here. The big difference in my yarn purchases is that I now buy enough for entire projects - no more skein at a time buys. Or loads of acrylic because I don't think I know how to knit properly. 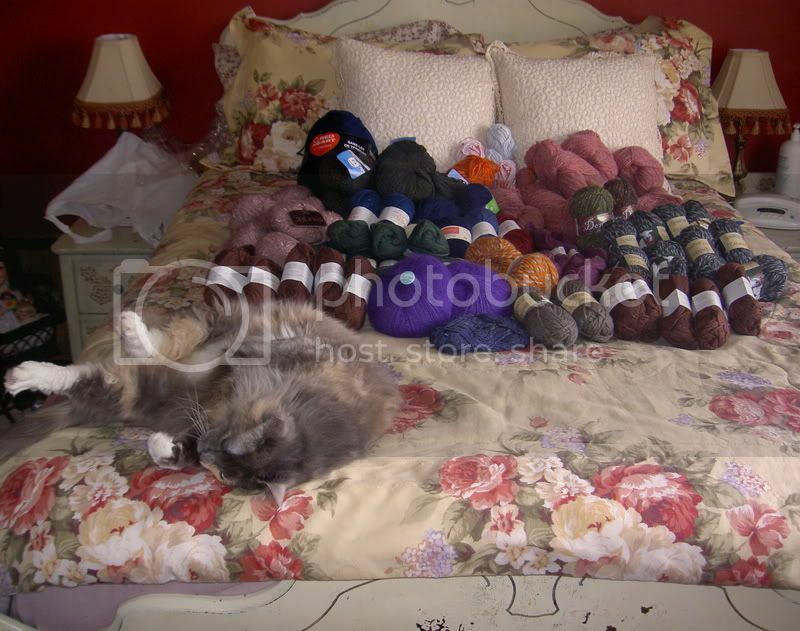 When I gathered the yarn all into one spot I noticed that I was really into tweedy yarns this last while. Hmmmm...and yet I have made nothing other than a pair of slippers from tweed yarn. Interesting. This comes right on time for the colour change at Project Spectrum 2. 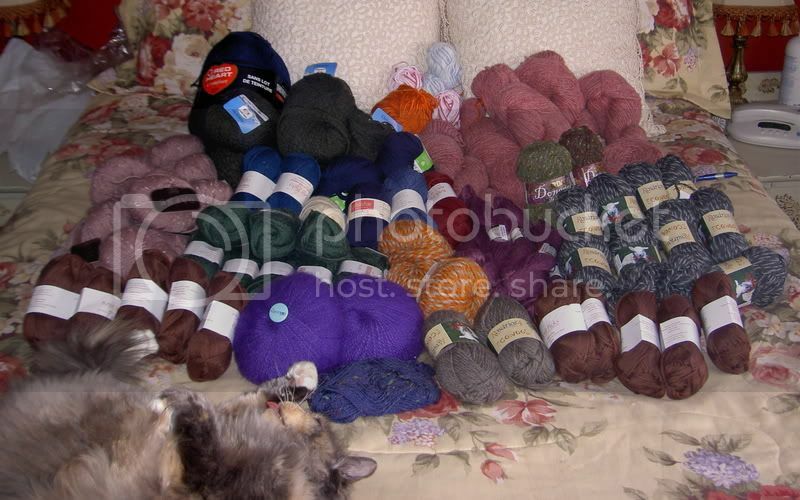 Now I have all mine yarns located and projects ready to begin. See all that tweedy pink on the left? 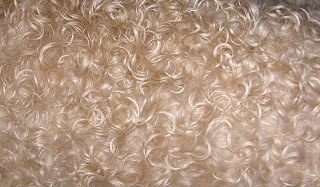 Destined to be the Stacy Pullover from Big Girl Knits. Time to start! 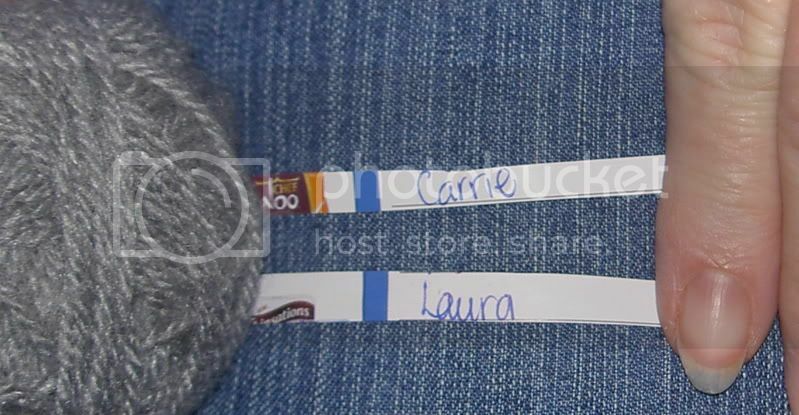 We have our winners! Big thank you to all 33 of you who commented at my site this month - your support and insight is very appreciated!! Charity is our 200th comment winner. Deb is our 201st comment winner.